Voice software provider iFLYTEK (SZ: 002230) announced to acquire MstChina, a test solution provider, for RMB 480 million (USD78 million). MstChina’s offerings include English speaking and listening test software which must be the synergy between the two companies. iFLYTEK, having been focused on speech recognition technologies, now has a variety of voice-related services including Mandarin speaking test software, and an English speaking and listening test solution for middle schools. Its Mandarin test software had covered a majority of provinces and regions in China and eight million test takers as of the end of 2012. The one for English had been approved by Guangdong province in 2012 to be used in high school and college entrance exams later on. 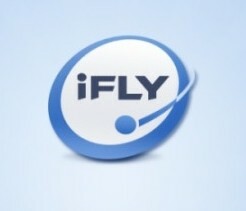 It is expected the acquisition would help iFLYTEK further expand to education sector. Having been in speech recognition technologies for more than a decade, iFLYTEK launched “Voice Cloud”, an initiative for third-party Internet services to build voice features, and “iflytek YuDian”, a Siri-like service last year. Now more than ten thousand third-party services have taken advantage of the Voice Cloud. It is estimated that iFLYTEK covers over 70% of China’s voice-related market. Two months ago, China Mobile invested RMB1.36 billion ($221 million) in iFLYTEK for a 15% stake. The company also developed a Siri-like service, named Lingxi, for China Mobile that the latter would 1) pay 0.08 – 0.3 yuan per user every month, depending on the scale of user base, 2) share 30% of revenues from business-facing services, and 3) share 12.5% of income from China Mobile’s existing products that use iFLYTEK’s technologies, from January 2013.